HP Workstation Z240 SFF Desktop PC Intel Core i7-6700, 16GB RAM, 256GB SSD, DVDR. HP entry level workstations just got better. The HP Z240 with two amazingly versatile form factors, packs the performance, features, and reliability of a workstation into the price point of a desktop PC. - Powerful processors, graphics, memory, and two optional ultra-fast HP Z Turbo Drives3 make the HP Z240 a true workstation-class solution. Handle your growing and complex workloads with performance for any stage in your work process. - Take back your workspace. At 57 percent smaller than the tower, the HP Z240 SFF conserves space and maintains workstation performance. And with HP no compromise reliability, your HP Z240 is designed to work today and well into the future. 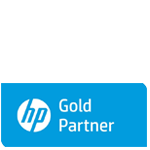 - HP most affordable workstation allows you to customize your experience while still balancing your IT budget. HP reliability, thorough testing, and ISV certification means your HP Z240 is designed as a long-term budget friendly solution.